Kim Yo’ng-il [Kim Yong Il] was a son born from Kim Il-so’ng’s marriage to second (or third) wife, Kim So’ng-ae. He was an engineer who worked in the country’s nuclear program, and spent most of his career in central and east Europe. Kim Yo’ng-il was born in Pyongyang in 1955, the third and youngest child from Kim Il-so’ng’s marriage to Kim So’ng-ae. He attended Kim Il-so’ng University and the Dresden University of Technology. Kim was an engineer who worked in the country’s nuclear programs, both in the DPRK and central and east Europe. During the 1970s and 1980s he studied or worked in the former East Germany, Austria and Hungary where he developed numerous professional and personal contacts. Unlike his two older siblings, sister Kim Kyo’ng-chin and brother Kim P’yo’ng-il, Kim was not unofficially exiled from the country after Kim Cho’ng-il took control of the party in the mid-1970s. In 1992 Kim Yo’ng-il held the position of bureau chief of the country’s Research Institute for Nuclear Energy. When Kim Il-s’ong passed away in July 1994, he attended the funeral and appeared with his mother and older siblings. 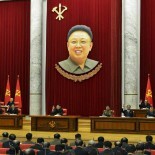 However, neither his sibling nor he were formally introduced or acknowledged in DPRK media. In 1995 he was appointed as a diplomatic counsel for economic and cultural affairs at the DPRK Embassy in Germany. In 1998, when Kim Cho’ng-il formally assumed power, Kim Yo’ng-il was recalled to the DPRK. He did not make any public appearances and held no formal positions or titles. He lived under virtual house arrest until he died from cirrhosis of the liver in about 2000. Kim Yo’ng-il was highly intelligent, professionally ambitious and had an excellent sense of humor. During his time in Europe, he was extremely popular with his colleagues.